Edmar Batac didn’t finish college. Because he came from a poor background, he just didn’t have the means to do so. Instead, he worked as a service crew member for several companies to earn enough to meet his personal expenses. Among the companies he worked for were Jollibee, Megawide Construction, Mr. Softy Ice Cream, Celine Shoes, Smokey's Hot Dog and even SM Department Store. In high school he was not a stellar student either. While many of his classmates would go home and rest or play after a long day at school, he would instead work as a car wash boy to earn his allowance for the next day. When this wasn’t enough, he would stop by a nearby pizza joint and wait there to help customers park their cars. “Hirap ng buhay (Life was hard),” Batac says to describe his childhood with a light chuckle. “I don’t want to go over that phase again, but I admit it’s what taught me how to achieve this success,” he added, speaking in a mix of Filipino and English. Batac’s determination to rise from poverty manifests in his status today. The 31-year-old entrepreneur runs a chain of coffee carts in more than 250 locations nationwide. He is also the CEO of Foss Coffee Kiosk Franchising Corporation (FCK), the company that owns Foss Coffee and 20 other food stall concepts that he conceptualized and grew all by himself. Foss Coffee started as a modest food cart under a different name in 2009. Batac, then just 22 years old, set up the first stall in Our Lady of Fatima University in Valenzuela, which is a stone’s throw away from where he lived. His first customers were students of the university, who were looking for a cheap but effective caffeine fix. He sold a tall 12-ounce cup for Php39, a grande 16-ounce cup for Php49 and an eiffel 22-ounce cup for Php59. Today, the price is at Php49, Php59 and Php69. Although he wasn’t able to graduate with a college degree, Batac is a level two holder of the national certification for baristas, as certified by the Technical Education and Skills Development Authority. This, he says, is what he sees as his advantage over other coffee shop owners in the country. He studied at the vocational school in 2008, worked for a coffee shop for training shortly after, then decided to set up his coffee cart a year later. Batac recalled it only took him two months to fully earn back his initial capital. “I did not expect it would be that fast. It must be why my life also changed in just an instant,” he said, snapping his fingers. The success of his first stall was so overwhelming that he was able to put up a second branch in a different building of the same university just a year after. His good fortune continued for about five years, when he opened a total of seven more stalls in six universities around the metro in quick succession: two in Polytechnic University of the Philippines in Valenzuela and one each in Manila Central University, San Beda University, Far Eastern University, University of the East Caloocan and San Sebastian College - Recoletos. It was during this time when he started calling these stalls Foss Coffee. 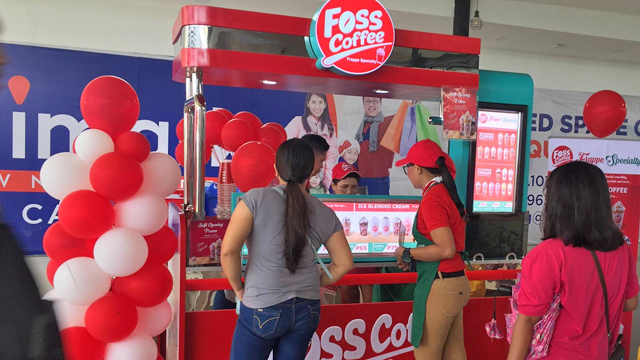 Foss Coffee’s growth not only improved Batac’s entrepreneurial skills but brought about a change in his lifestyle as well. 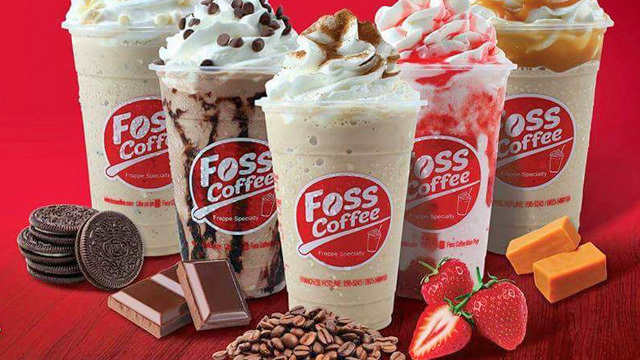 From renting a small apartment in what he calls a “squatter area” in Valenzuela, he said he was able to move into a bigger apartment with three bedrooms shortly after Foss Coffee’s expansion. After that, he was also able to buy a condominium unit and even a brand new car—though both with the help of loans. “My life changed significantly,” he said. In 2014, however, the resilient young entrepreneur was yet again faced with challenges. Revenues of his coffee stall chain were dipping, and he was finding it hard to pay for his newly obtained liabilities. “My lowest point came when the condo unit and other properties I had, which I paid for in installments, were almost taken away from me. I even pawned my car. I was a year behind in payments for my condo unit,” he recalled. But instead of giving up, Batac decided to take more risks for the business. In 2013, Batac came across Franchise Asia Philippines, the biggest franchise show in Asia organized by the Philippine Franchise Association (PFA). This is where he met Rudolf Kotik of RK Franchise Consultancy, now one of his trusted mentors especially when it comes to the franchising business. He then decided to join Franchise Asia in July 2014 and avail of the consultancy’s services, with the little savings he had left. “I only borrowed the money I used to join. I invested Php100,000 that time. I really gambled everything,” he said. It seemed like luck was again on his side, since he was able to earn back what he borrowed in just two months. “When I joined that time, there were a lot of franchisees that came in—maybe around 15. That’s why I don’t want to put up company-owned stores anymore, because I’m now capable of the ins and outs of franchising. That was when Foss Coffee started to mushroom. Now we’re at more than 250 branches,” he proudly added. 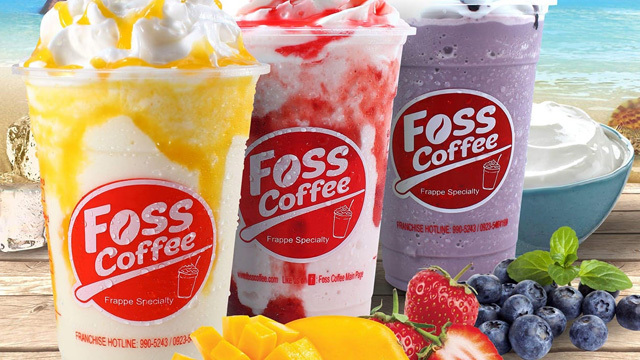 Since then Batac has focused on growing Foss Coffee through franchising. 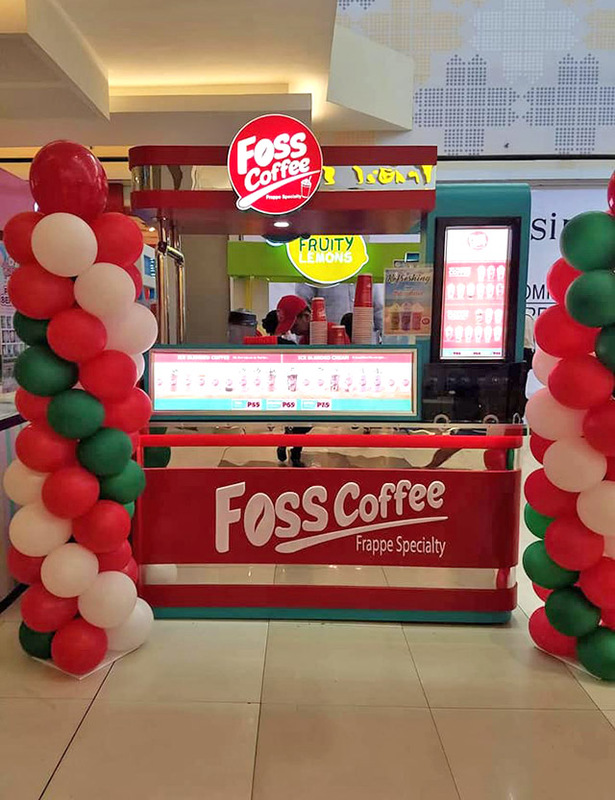 The coffee cart chain’s footprints have already reached the cities of Koronadal, Zamboanga, Butuan and Cagayan de Oro in Mindanao, which isn’t hard to believe since a single cart of Foss Coffee only costs Php350,000, all in. The ambitious businessman is not stopping there. He revealed that he is also developing at least 20 new food stall concepts, though only a few have been introduced to the market. This includes Whip It, Tater Choice, Lemon Soul, Cold Brew and Egg Surprise. Franchise fees for these new brands cost Php180,000 to Php280,000, all in. Now a seasoned serial entrepreneur, Batac revealed that he is planning a tie-up with Joey Garcia’s Rai Rai Ken Restaurant Group. “We will launch together with Mr. Joey Garcia four different kinds of Japanese food (carts): takoyaki, tempura, maki and ramen,” he said. But even with the amount of work he has on his hands, Batac still makes sure that everything he does comes with a purpose. More than a businessman, he is also a dedicated family man, a constant learner and a mentor to young individuals who aspire to become like him. These days, Batac is busy with two organizations: the Junior Chamber International Makati and the Makati Young Business Club. This is where he exhausts his efforts and capabilities to help and mold other young aspiring entrepreneurs to become successful. “Since I myself came from a poor household, my goal now is to help ordinary Filipino employees to improve their lives like me. I want to help them become successful entrepreneurs,” he said. But among the many hats Batac wears, he says that of a student is what he wants to focus on right now. He’s currently taking an online business course along with his wife and plans to pursue a master’s degree in business administration from a leading school afterwards. He also has plans to apply for a Certified Franchise Executive accreditation. “Since the world I’m moving in has changed and the people I encounter now are professionals, I said to myself that I really need to continue my studies. My colleagues have served as my motivations in pursuing education even at this age,” he shared. Edmar Batac may not have done things according to the usual timeline, but he’s living proof that it’s possible to rise through the ranks as long as you have enough ingenuity, passion and grit.